This carefully observed drawing appears to be a study for St Bartholomew in Leonardo's painting of the Last Supper in Milan. While the face and neck of the model are drawn in detail, the back of the head is indicated with a few simple strokes. 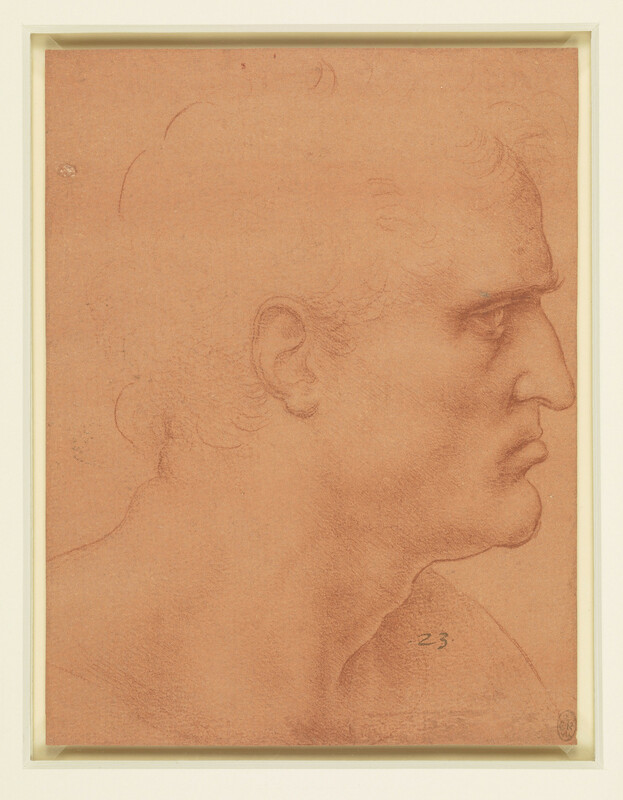 Leonardo was the first major artist to use red chalk, which became popular as other draughtsmen followed his example.